Log and lumber prices will be less volitile but also less attractive in 2019, according to ERA’s Kevin Mason, while Forest2Market says 2019 markets will be mostly flat or trending down except for offshore imports, pulp and CLT. Elsewhere, a preliminary report confirms rail embargoes on Canadian commodities; while Resolute, EACOM, Nechako Lumber and Active Energy Group make news in their communities. In other news: concerns are raised about Wood Buffalo National Park; BC’s caribou recovery strategy; and the lack of protection for Nova Scotia’s endangered species; while plastic takes a beating in Halifax, Washington State, and the corporate headquarters of Samsung Electronics. 11 Predictions for Global Wood Consuming Industries in 2019 by Forest2Market: Global pulp market will maintain strength. …US South sawtimber markets will remain flat. …Canadian investment in US forest products assets and timberland will slow, but European flows will increase. …US bioenergy segment will remain flat, but global growth opportunities take shape in Asia. …The US dollar will depreciate. …Brazilian forest sector will continue to expand. …British Columbia will lose more lumber production. …Housing starts will retract, market will flatten. …CLT and engineered wood products will continue to expand. …Economy will shrink, US GDP will follow. …Industry in the Pacific Northwest will continue to shrink. 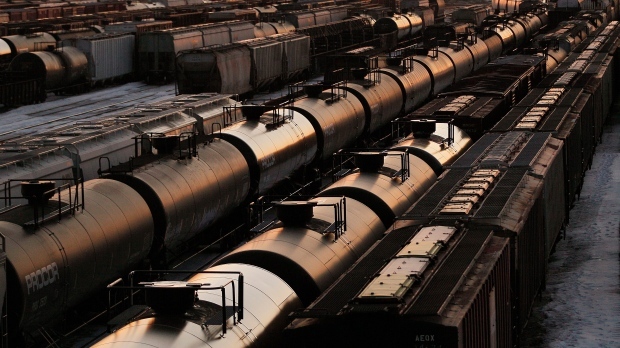 A preliminary report from the Canadian Transportation Agency appears to confirm shippers’ complaints about a relatively high number of restrictions on commodities they tried to move by rail through the Vancouver area. Industry groups have accused Canada’s two largest rail companies of “discriminatory treatment” against some commodities, the report notes, highlighting the use of embargoes that temporarily stop traffic at specific loading points or interchanges. 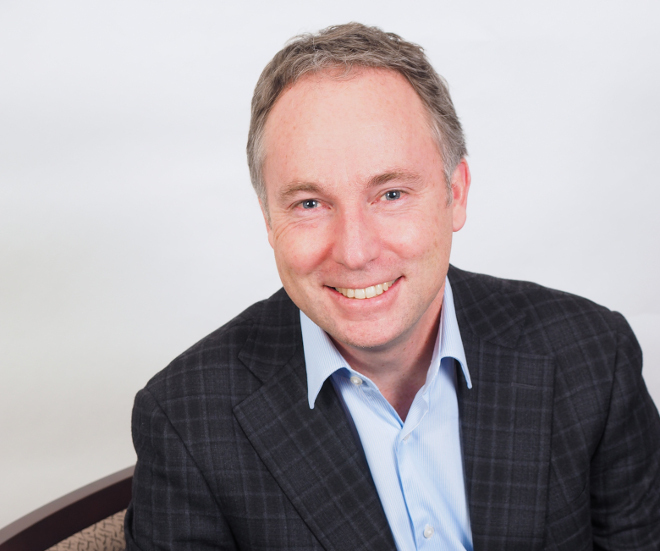 …Derek Nighbor, head of the Forest Products Association of Canada, warned the railways this week against playing “commodity whack-a-mole.” He said the embargoes cost the pulp and paper industry $500 million in contract penalties, shipping charges, rebooked routes and storage costs. Representatives of Resolute Forest Products are asking Queen’s Park for help, as they battle with American producers for access to U.S. markets. Resolute says they have $100 million in duty deposits sitting in Washington, and there’s still no agreement on softwood lumber. The last deal expired in the fall of 2015, and new terms weren’t included in the recently negotiated USMCA. Resolute Forest Products says their carbon footprint is down 76 per cent since 2000, and they don’t want to see new rules from both federal and provincial governments. In their delegation to the finance committee of the legislature earlier this week, the company spokesman noted they had invested $250 million in the province, and they employ more than 4,000 workers. A former mayor and forestry operator on the of the Northern Peninsula has big questions about the company involved in the timber rights deal in his backyard. And he’s spending his own money to find the answers. Leander Pilgrim, who served as the mayor of Main Brook for over 30 years, says the U.K. company Active Energy Company has no experience in forestry management and will ruin the traditional way of life in the area. 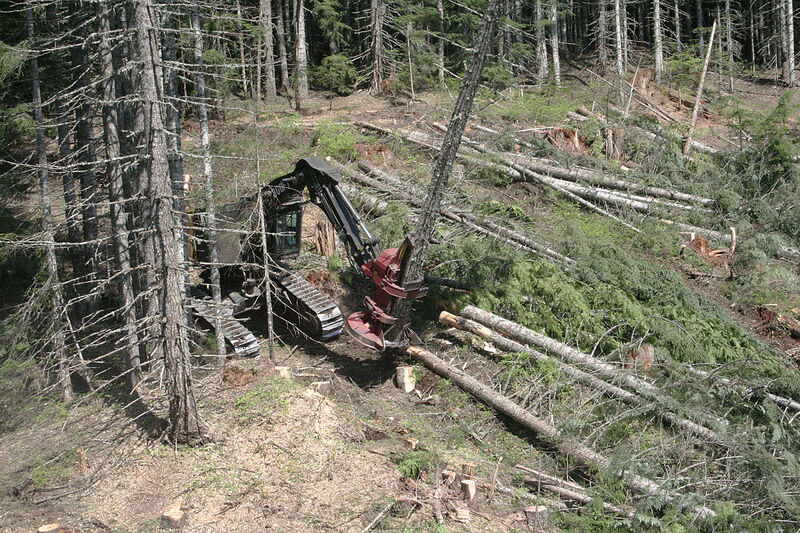 In late November, the province announced two five-year cutting permits for Timberlands International, a subsidiary of AEG. …But Pilgrim fears there will be no pellet plant and government didn’t do its due diligence when researching the company’s past. Pilgrim hired a consultant to look into the company’s history, sending his findings to key political figures. In a letter written to government in December, he highlights AEG’s failures in the forestry industry. Log and lumber prices aren’t expected to be as volatile in 2019 as last year, but experts still aren’t bullish about the timber industry’s economic outlook. After hitting a record high of $564 last June, the price per thousand board feet of framing lumber dropped 40 percent by the end of the year, to $335, according to the Random Lengths market information service. The shift was brought on by tepid growth in housing starts, a strong supply of lumber and concerns about interest rates, among other factors that are likely to persist in 2019, according to timber experts at a Jan. 24 conference in Vancouver, Wash., organized by the Western Forestry and Conservation Association. “The risks are outweighing the opportunities out there,” said Kevin Mason, managing director of the ERA Forest Products Research firm. HALIFAX—With plastic bags on the chopping block, one environmental science professor says people should carefully consider what they’ll use instead if they want to reduce their environmental impact. 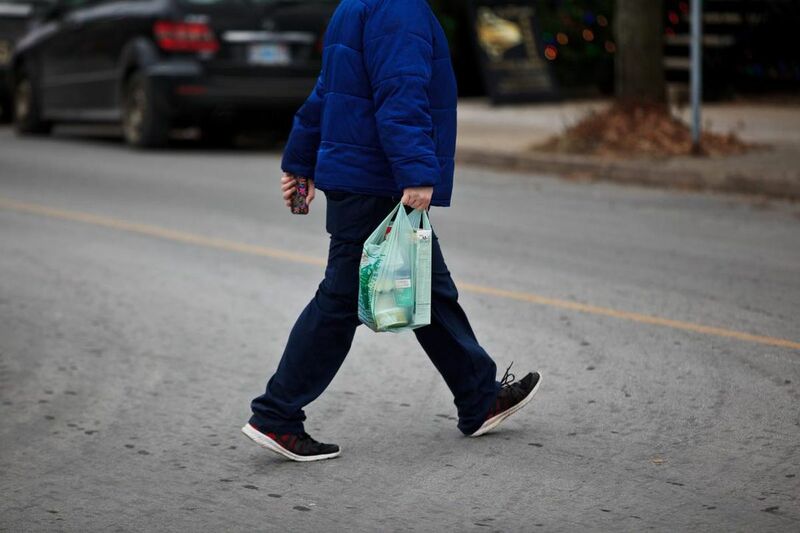 …Tony Walker, a professor in the School for Resource and Environmental Studies at Dalhousie University… said that he understands why some people assume paper bags are an environmentally friendly option and a good replacement for plastic, but he believes it isn’t so simple. The ink used to create the graphics we see on some paper bags come from an industrial process, “so there’s a footprint,” he said. And the manufacturing of the paper, too, requires the falling of trees and emission of carbon. …Then again, he said, there are some paper bags… may have the seal of approval of the Forestry Stewardship Council, signalling a smaller environmental impact. 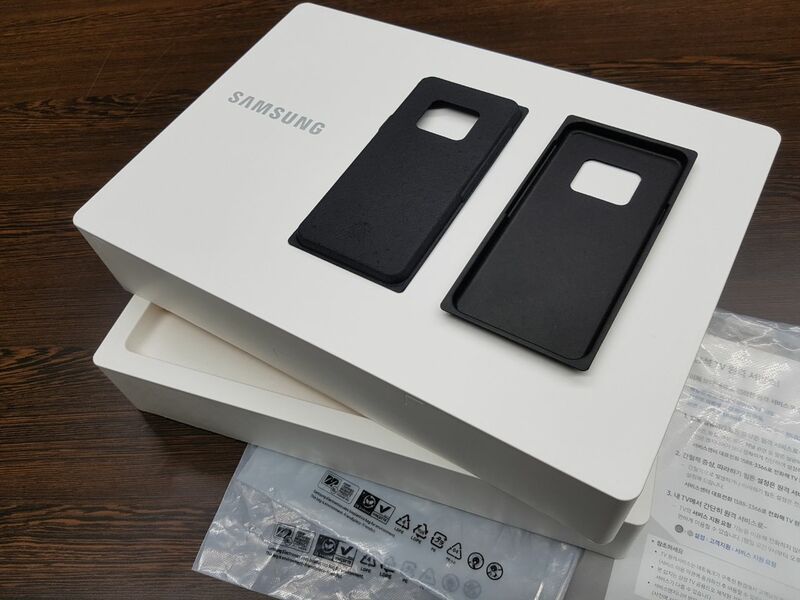 Samsung Electronics said Sunday it will replace plastic packaging used for its bevy of products from mobile phones and tablets to home appliances and wearables with paper and other environmentally sustainable materials like recycled/bio-based plastics. Samsung will start making the switch in the first half of the year. The company aims to only use paper packaging materials certified by forestry initiatives by next year. By 2030, Samsung says it plans to use 500,000 tons of recycled plastics and collect 7.5 million tons of discarded products (both cumulative from 2009). The company said it’s formed an internal task force to come up with innovative packaging ideas that avoid plastic. …The company also committed to only using fiber materials certified by global environmental organizations like the Forest Stewardship Council, Programme for the Endorsement of Forest Certification Scheme and the Sustainable Forestry Initiative for packaging and manuals by 2020. Our quest to reduce the effects of climate change is driving a new era of technological advances. On the cutting edge of this wave of innovation are new uses for a material with a long tradition: natural, carbon-friendly wood. The modern uses for wood and wood-based compounds are changing how we build and design in ways that our grandparents could not have imagined even just one generation ago. Cross-laminated timber: ‘Plywood on steroids.’ Cross-laminated timber, or CLT, is a wood product developed in the 1990s. Made from gluing three to nine layers of solid-sawn lumber, each layer of wood in a CLT board is laid at right angles to its adjacent layer, then compressed and bonded together. The result is a building product that is remarkably strong, resilient and versatile. CLT also allows for the use of less-than-perfect boards to make better use of every piece of cut timber. In an effort to minimize ocean pollution, Washington state may soon follow the example of several of its own cities by banning plastic straws and plastic bags. …SB 5323 would require retailers to charge a 10-cent fee per paper bag in an effort to level the playing field between large retailers and smaller stores. …Some argued the bill’s mandatory 10-cent minimum fee is unfair. Bill Stauffacher, who works for the American Forest and Paper Association, spoke against the bill. “It’s not capped whatsoever,” said Stauffacher. The problem with that, he said, is that businesses could choose to charge more than the minimum fee required by the state. Additionally, he said, the fee would be a direct hit on the manufacturers who produce paper bags. Despite concerns about the fee, SB 5323 had overwhelming support at the public hearing. In a presentation from professional foresters, Herb Hammond and Fred Marshall, residents of Grand Forks heard about the desperately unhealthy state of the forest in the Kettle River Watershed and Boundary region. Because Grand Forks is the test case and the canary in the coal mine for the devastating effects of forestry practices in BC, my goal as the organizer of this presentation was to become informed about the state of our local forests and the relationship between forestry and the flooding in Grand Forks. The presentation achieved this goal and is the first step towards citizens coming together to work for healthier forests here. Re: Some trees must be preserved, others need to go, Letters, Jan. 17. With respects to the 800-year-old tree that was harvested in Port Alberni recently, I must implore everyone to remember the valuable old-growth that is already contained within parks and designated reserves. …The [Vancouver Island land use] plan states two very important details: due to the natural value and growing recreational/tourism opportunities, the amount of land designated as protected area was increased to 13 per cent of the total forested land base… The tree in question was felled within the working forest, and as ugly as it seems I have no problem with it. I think those furthest from the issue are being most critical. I believe it’s as good of a time as any for us to look at revising our land-use plan but I hope it can be done with the same level-headed analytical process of previous years. The draft for a federal plan to restore Canada’s largest national park suggests Ottawa is unlikely to ease international concerns about threats posed to its status as a World Heritage site, say environmental groups and First Nations. 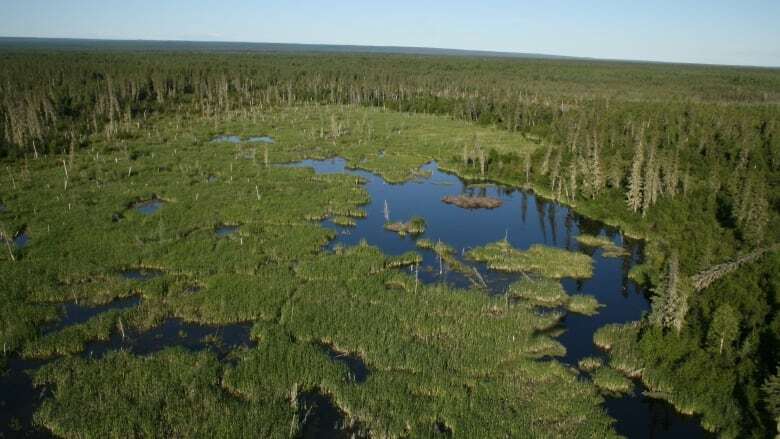 …The federal government has until Friday to respond to concerns raised by UNESCO about the park, which straddles the Alberta-Northwest Territories boundary. The area’s Mikisew Cree First Nation warned UNESCO in 2014 that the sprawling park was in trouble. …UNESCO gave Canada until Feb. 1 to say how it would fix the problems. The draft of that plan isn’t encouraging, said Mikisew’s Melody Lepine. …Audrey Champagne, a spokesperson for Parks Canada, responded to criticism by noting the government has committed more than $27.5 million over five years to support the action plan to preserve the World Heritage site. So it’s come to this. The South Columbia and South Purcell populations of mountain caribou are now extirpated. We have seen this coming for decades. A lot of talk, paper, and some minor adjustments to resource extraction have been put out there. But in the end it was too little too late. One would think that in a rich democracy like Canada, we could save a wild species like mountain caribou. We all carry images of caribou in our pockets every day, on the Canadian quarter. This is a strange juxtaposition, as it is the greed for more money that has caused the decline of caribou in our country. 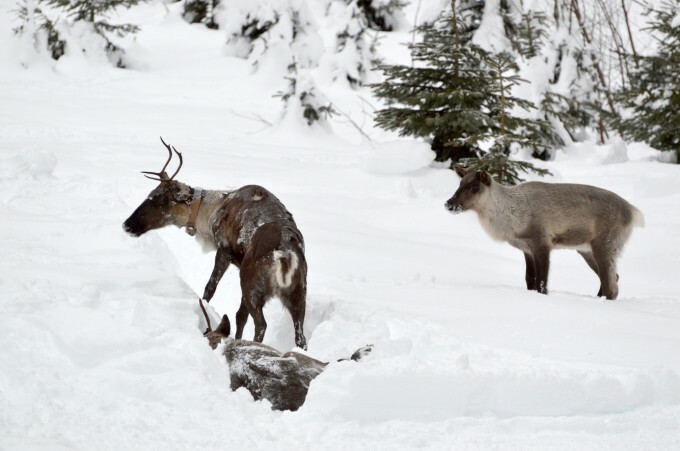 Allowing road building, logging of old-growth forests, mining, winter recreation in the form of snowmobiling and heli-skiing, and other intrusions into caribou habitat has allowed access by predators. As a woodlot owner and operator for the last 40-plus years, I’ve been associated with the Abercrombie pulp mill for all that time. I worked in the woodlands department for two years as a district supervisor, spent 15 years as a silviculture contractor and all that time as a woodlot owner. I still manage 500 acres of woodlot today. There will still be a forest industry after this mill closes. The industry is bigger than any mill. …To suggest that woodlot owners and other rural residents will not survive a mill closure is to not understand that no one out here is making any money now. Contrary to the few contractors who have spoken in favour of the mill not closing, most are quiet, as they fear repercussions from a very vindictive industry. But I hear from some of them when I speak out. No one is happy to be faced with such low profit margins and long work weeks. Northern Ontario is known for its vast forests, many lakes, and outdoor adventure offerings. Since 2005, the Ontario government has invested in the construction and maintenance of forest access roads across the province. Distances are long in Ontario. Thunder Bay is 1,400 kilometres from Toronto. That is 15 hours of driving, and you are just starting to get remote. The forest access roads program expands on the provincial highway network to strengthen multi-use public infrastructure. Thanks to this government infrastructure program, many roads, bridges, and water crossings are maintained, repaired, and replaced annually. …In recent months, the Ford government has launched several initiatives to facilitate Ontarians’ enjoyment of their great outdoors. In turn, we, at EACOM, continue to do our part to ready the access to Ontario’s forests and lakes: in 2018, we worked to maintain 5,167 kilometres and built 973 kilometres of roads. The theme of the 2019 Sierra-Cascade Logging Conference is “Investing in our Future – One Youth at a Time.” Scheduled for Feb. 5 to 9 in Anderson, that theme “defines both the challenges and opportunities facing our industry,” states Conference President Dale Orchard in his President’s Message. The event includes the 70th Annual Forest Products & Construction Equipment Exposition Feb. 7, 8 and 9 at the Shasta District Fairgrounds in Anderson. District 1 Congressman Doug LaMalfa is scheduled to give the keynote speech the morning of Feb. 7 during a breakfast at the Fairgrounds. He will speak on the current state of affairs in Washington D.C. and pending legislation, subsequent to the devastating wildfires that affected California this past year. 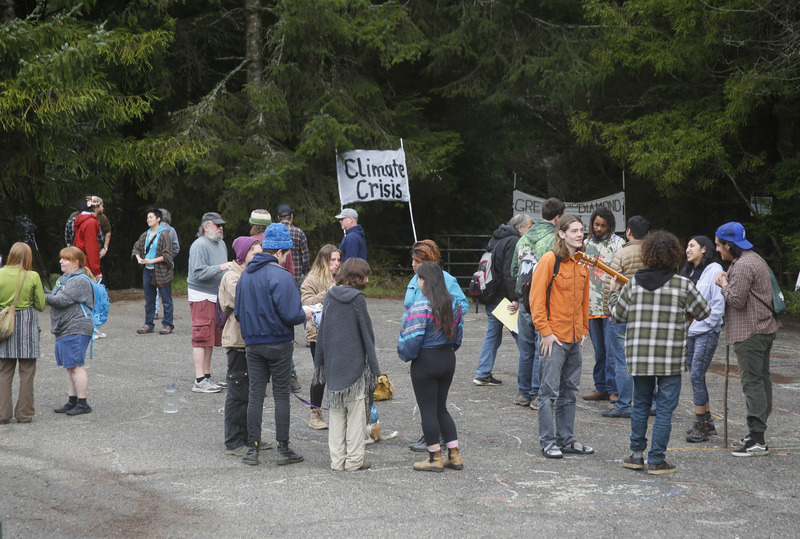 WENDELL, MA — Since the beginning of last fall, protestors of a Wendell State Forest logging project have said their efforts to save about 16 acres of old oaks are part of a bigger picture: protecting trees across the globe. The group RESTORE: The North Woods is now widening its scope of operations by calling for an “immediate moratorium on logging on all Massachusetts state lands.” …However, the state isn’t budging on the project. In fact, according to DCR Commissioner Leo Roy, the logging project is actually beneficial to the longterm health of the forest — and ultimately will lead to more carbon sequestration as trees are constantly reaching their peak sequestering age through forest management. YANGON — Myanmar forest authorities have seized 63 tons of illegally harvested timbers from a forest reserve in southern Bago region, the official Global New Light of Myanmar reported Sunday, quoting the Forest Department. The illegally harvested teak and hardwood were confiscated by a combined team of forest police from Phyukon Forest Reserve in three days from Wednesday to Friday. Action is being taken against those involved in the illegal timber trade. Illegal logging often occurs in the area although the authorities have outlawed all logging operation in Bago Yoma mountain range for a 10-year period starting from 2016. Many cities, in recent years, have initiated tree planting campaigns to offset carbon dioxide emissions and improve urban microclimates. In 2007, New York City launched MillionTrees NYC, a program designed to plant 1 million new trees along streets, in parks and on private and public properties by 2017. They hit their goal two years ahead of time. These programs are popular for a reason: Not only do trees improve the city’s appearance, but they also mitigate the urban heat island effect – the tendency for dense cities to be hotter than surrounding areas. Studies have shown that trees reduce pollutants in the air, and even the mere sight of trees and the availability of green spaces in cities can decrease stress. 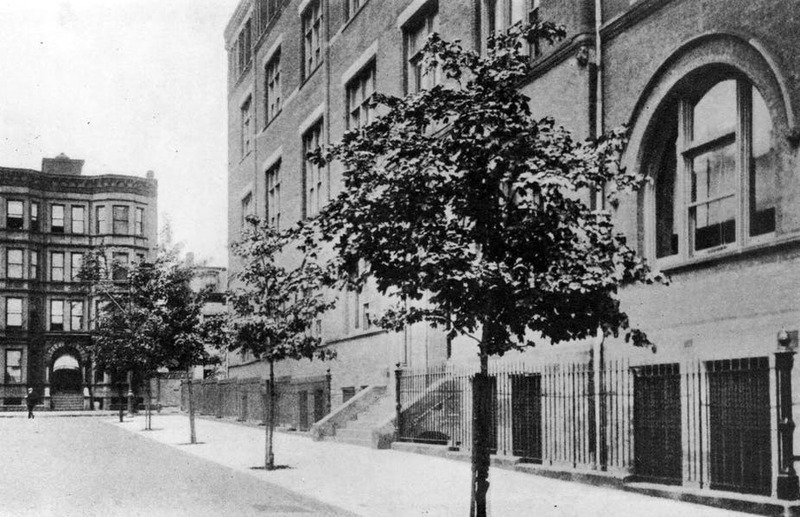 But as I show in my new book, “Seeing Trees: A History of Street Trees in New York City and Berlin,” trees weren’t always a part of the urban landscape. It took a systematic, coordinated effort to get the first ones planted.